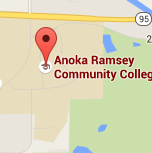 Thank you for your interest in Anoka-Ramsey’s Concurrent Enrollment program. The high school partner teachers (HSPTs) are the most important piece of the Concurrent Enrollment system. 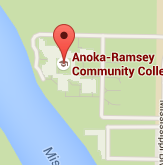 All high school instructors who are interested in offering Concurrent Enrollment courses should start the conversation with their high school first to see how the Anoka-Ramsey course will fit into the academic schedule and budget for their high school. Once the high school determines that they would like to offer a course, the high school must contact Anoka-Ramsey to approve the course. All new courses must be approved by March 1 of the year prior to the course being offered. Once the course has been approved, any interested high school partner teachers must submit an application, resume, and copies of all undergraduate and graduate level transcripts. All new high school partner teachers, or teachers who are offering new courses, must apply to teach the Anoka-Ramsey courses. Applications are due by March 1 prior to the Academic year the course will first run. You are welcome to contact Anoka-Ramsey’s Director of K-12 Partnerships for questions related to credentialing requirements. Copies of all Undergraduate and Graduate transcripts. Anoka-Ramsey’s academic leadership over the discipline, along with our Human Resources department, will review all applications to determine if high school partner teachers meet the credentialing requirements of on campus faculty. Once reviewed, Anoka-Ramsey’s Director of K-12 Partnerships will notify the high school partner teacher, and their high school administration, of their approval or denial to teach the Concurrent Enrollment course. All new Concurrent Enrollment high school partner teachers are required to attend the Concurrent Enrollment orientation. Anoka-Ramsey’s Concurrent Enrollment team will provide information about the program and responsibilities of the high school partner teachers. Each high school partner teacher will be connected with an Anoka-Ramsey Faculty Liaison who will assist the high school partner teachers in developing the course curriculum, creating a syllabus, and identifying suitable textbooks and resources. The Faculty Liaisons paired with the new high school partner teachers will also attend the orientation to allow for discipline specific information prior to the start of the course. Faculty Liaisons will also visit the high school classroom at least once during the academic year and collaborate with the high school partner teacher throughout the year. The mandatory Concurrent Enrollment orientation typically occurs in June. Specific dates will be provided to high school partner teachers upon their approval. High school partner teachers must adhere to the Non-Compliance Policy for Course Content as listed in the Concurrent Enrollment High School Guide. Per the National Alliance of Concurrent Enrollment Partnerships (NACEP) accreditation standards, Anoka-Ramsey is required to provide discipline specific professional to all high school partner teachers annually. Professional Development may look different for each partner teacher. Some disciplines, with larger numbers of high school partner teachers, may host their high school partner teachers on campus to sit in on classes and spend time as a group discussing topics such as course content, course delivery, assessment, evaluation and/or research and developments in the field. Other disciplines may attend an event, or training, provided it is a meaningful, discipline specific, professional development. High school partner teachers must adhere to the Non-Compliance Policy for Professional Development as listed in the Concurrent Enrollment High School Guide.